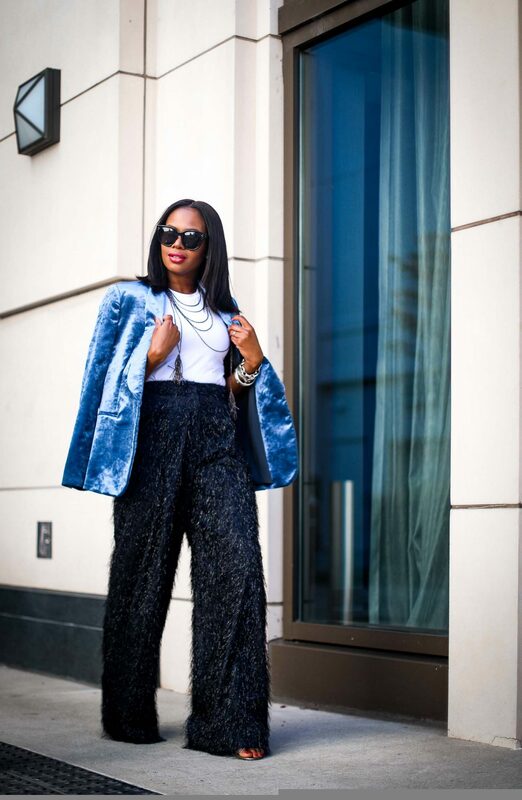 Hang up your dresses and give a pair of holiday pants a try this party season. 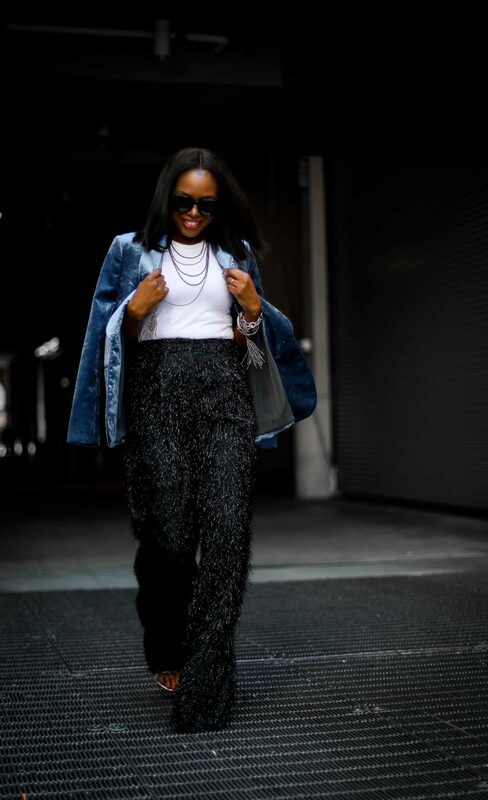 A great pair of holiday pants are made of sequins, feathers, metallics, and velvet. These fabrics are beautiful, luxurious and guaranteed to standout in the crowd. The holidays are all about sharing and celebrating life, therefore the best way to celebrate is in fabulous clothing. Holiday pants like the pair featured in today’s post are made from a delicate feathered fabric. The material shimmers in movement, and is absolutely stunning. An outstanding pair of holiday pants are a great option to celebrate in because they are eye catching, festive, stylish and on trend. In addition to all of this, they are sure to make heads turn all night long. 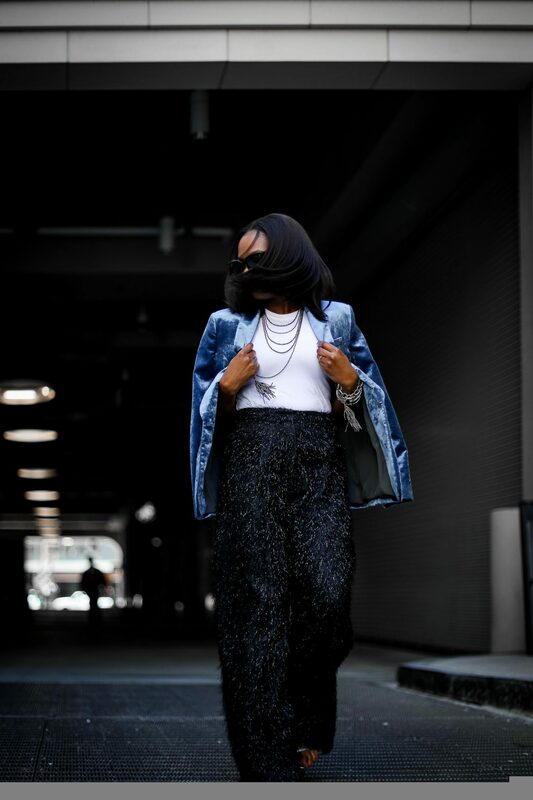 Wide-leg pants are a timeless silhouette. 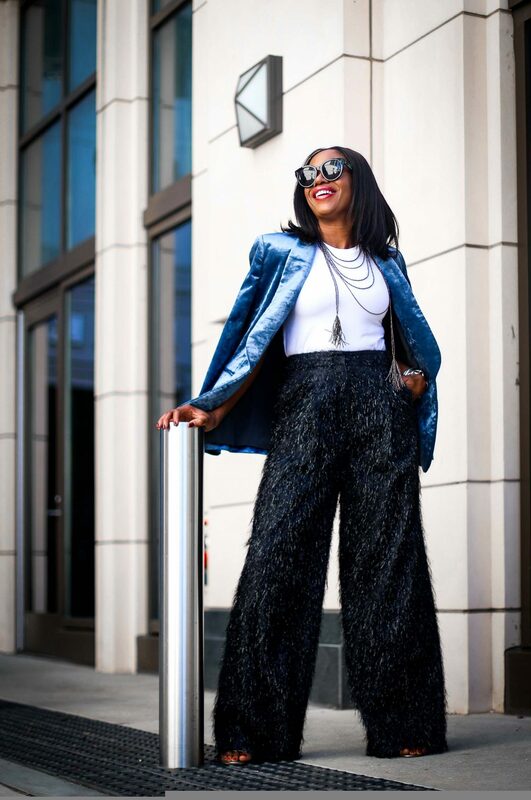 This classic style of pants paired with the metallic feathered fabric of the pants, makes for a great option to wear to a festive gathering. 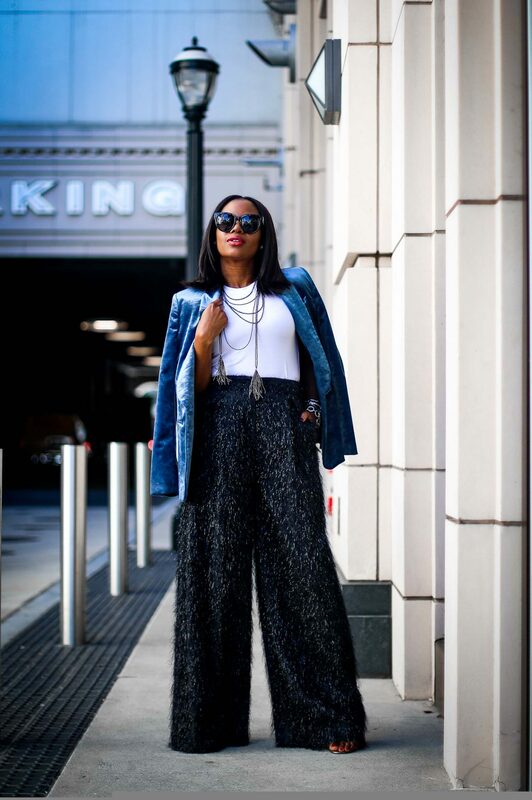 These fabulous pants are glamorous and fun, hence ideal for a party. Your outfit is perfectly paired when matched with equally celebratory fabrics. 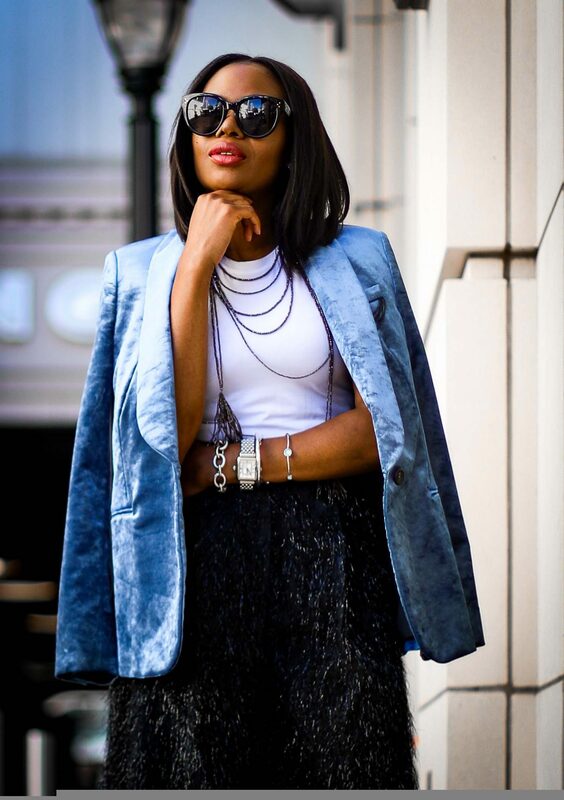 A plush velvet blazer fits the bill and looks stunning paired against the details of the bottoms. A beaded necklace and a pair of metallic shoes complete this show-stopper outfit, making it an ideal option for your holiday party.